Students can be trained to be high achieving researchers in Quantum Engineering via the MQ Doctor of Philosophy (PhD). These students work with leading theorists and experimentalists in quantum science and technology, to develop deep understanding how the fundamental ideas of quantum physics can be used to build the most advanced quantum sensors in the worlds and to advance our understanding of the Quantum Sciences. PhD researchers will develop considerable expertise in data analysis, modelling, computer visualilation, optical manipulations and the most advanced metrological schemes during their studies. The 3 year PhD program enables the student to progress to become an independent researcher. At completion of their studies they will have acquired problem-solving capabilities, which will allow them to undertake and innovate state-of-the-art original research. They will also be able to communicate the relevance, significance and context of their work with their peers. Students graduating from the PhD programme in quantum science often choose a diverse range of careers spanning biomedical research through to topological quantum circuits and some have continued to postdoctoral research in Karlsruhe Institute of Technology and the Singapore University of Technology and Design and Ulm University. A wide range of potential PhD topics are on offer. Students interested in particular projects are strongly encouraged to contact the relevant supervisor(s). Why undertake your higher degree focused in Quantum Engineering at Macquarie University? We have smart people, excellent infrastructure and facilities and a supportive environment focused on building your skills for enquiry, research and innovation. The breath of our research activities and our international links, make Macquarie an ideal environment to get the most out of your post-graduate degrees. Our Centre is regularly visited by the top scientists in the world including, for example, Nobel Laureates Profs. Tony Legett and Bill Phillips, or Prof. Sir Michael Berry and Prof. Sir Peter Knight. Our students learn Quantum Physics from the best! The high degree research students within our Research Centre find innumerable opportunities to contribute to Outreach Activities both within the Centre and in the wider context of the Department. Some examples are the Indigenous Science Day @ Redfern or the Science Experience @ MQ. We offer Masters by Research degrees focusing on Quantum Engineering related research topics through the Macquarie University MRES degree. This two year degree involves eight units of coursework training and then a full year research project. For a flavour of current/past MRES projects in Quantum click here. Students accepted to this degree receive an automatic scholarship which increments from Yr1 to Yr2. For more information on the MRES degree click here. The University rigorously applies these. To apply for either our PhD or MRES degree programme you need to complete an EXPRESSION OF INTEREST application form online. For this you will be asked to select your preferred research project from the list of offered PhD projects, your CV, and list of two potential Referees who you agree we can contact, and a brief statement regarding your short-term and long-term motivation for undertaking the degree programme. This information allows us to judge your capability with other students applying so we can select those best suited to advance to full admission through the University scholarship programme. Once selected you will be paired with a potential Supervisor who will then invite you to an interview. These interviews help potential students get a better feel for what the Degree Programme and research will be like. These interviews will be via Skype, phone or in-person and will take place at most one month after the Expression of Interest deadline. Once you have passed the interview and the potential Supervisor agrees to supervise your PhD studies you need to prepare a formal application. This application will be to Macquarie University and will enable you to apply to all types of scholarships that you will be eligible for. You will need some referees to also fill out pre-set referee application forms and these are sent separately to the Macquarie University HDR office. Applicants are strongly advised to prepare their applications as soon as possible after finding a supervisor. Copies of some documents must be certified (by the relevant authorities) as part of the formal application. The projects below are available for possible PhD projects. We encourage you to read them, follow the hyperlinks to read background information on the science related to the projects, and email the Chief Project scientist (bold font), for more information. If you are interested to apply to do a PhD on a particular project please submit your Expression of Interest application by the next deadline by clicking HERE. The development and deployment of quantum technologies has become one of the paramount tasks for science in the 21st century. What sets quantum systems apart is their (quantum) coherence and therefore the ability to form large superposition and entangled states, which can both act as valuable resource for high-precision measurements and quantum information processing. In order to preserve quantum coherence in e.g. a single nanoparticle with embedded artificial atoms, the systems needs to be extremely well-isolated from the environment and cooled down to very low temperatures. In this project, you will engineer a contactless method to isolate and manipulate a mesoscopic quantum system: you will use laser light to levitate and trap nanocrystals in vacuum. This platform will be studied under the scope of quantum metrology with application in sensing. You will build a strong expertise in theoretical and experimental physics including but not limited to how to build an optical setup and operate lasers, use computer programming for automation of experiments, and CAD modelling for custom-made part of experiments. Check out our Instagram page (link) for a snapshot of our lab and read about these cool experiments (link, link and link) from which you will build upon. Do not hesitate to contact us for a visit and discussion about the project. While diamond is clear, atomic defects in the crystal can absorb and emit coloured light. 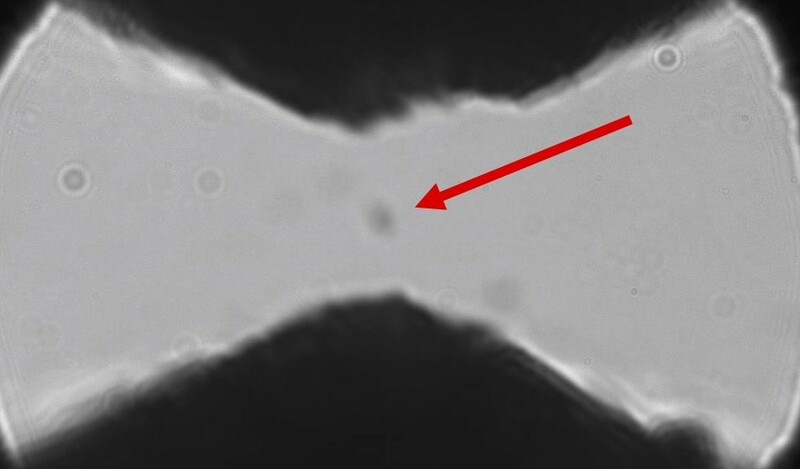 These glowing diamond defects offer individual control of single electron and nuclear spins, providing a resource for quantum information processing. The interaction of mobile information carriers (photons) and quantum information storage (solid-state spins) make these glowing defects attractive architectures for creating quantum networks. The most well-known candidate in diamond is the nitrogen-vacancy centre, which has remarkable applications based on its ability to operate as a quantum resource at room temperature. However, the nitrogen-vacancy centre has certain properties which limit its attractiveness for quantum networks. This largely experimental project will explore novel glowing defects in diamond including the silicon-vacancy and germanium-vacancy centres, which have recently shown potential to overcome some of the nitrogen-vacancy limitations. Research activity will engage with fundamental science such as superradiance and superabsorption, and will also connect with a wide variety of potential applications such as magnetometry and quantum thermometry. There is the opportunity to develop hands-on quantum-optics laboratory skills as well as build experience with advanced computer-automated experiments. The project will characterise and work with locally-grown diamond samples as well as commercial and exotic research-grade diamond material. Nano-quantum photonics and in particular polaritonics  has become a very active area of research over the past years with the explicit goal of realizing many potential new quantum technologies for real-world applications. The group at Macquarie University has long-standing experience and is a strong player in the field [2-5]. New 2D semiconductor materials  (so-called transition metal dichalcogenides, or short TMDs) are presently being used as alternative active materials, opening the study of rich physical phenomena. The study of light-matter interaction in these single semiconductor monolayer samples represents a key element to designing interesting quantum photonic systems. However, it is crucial to address an optimal research strategy to take into consideration both the photonic structure (cavity) and the semiconductor properties. Here, fiber-optics based cavities  will be used to enhance the light-matter interaction. At the same time, the typical mechanical exfoliation synthesis processes used to isolate graphene single sheets, will be adapted to offer a diverse set of 2D semiconductor flakes. The enhanced excitonic properties of these 2D samples interacting with single photons in fiber cavities will represent a key feature to discover new quantum features, such as polariton blockade, where single photons in a cavity can be transmitted or blocked by the enhancement of non-linear quantum interactions. Ultimately, the goal is to create photonic quantum dots, where quantum discretization of the polariton levels arises as a natural consequence of light and matter confinement in combination with strong excitonic interactions. The field of quantum polaritonics lies at the interface between technological and fundamental research. The PhD can either be done entirely at Macquarie University or in a Cotutelles arrangement with our partners at Institut Neel in Grenoble or at University of Valencia in Spain. The QMAPP group at MQ is part of the ARC Centre of Excellence on Engineered Quantum Systems (EQUS) which will run until 2024. Contact A/Prof Thomas Volz (thomas.volz@mq.edu.au) and/or Dr Guillermo Munoz-Matutano (guillermo.munozmatutano@mq.edu.au) for more information or visit https://gmapp.gitlab.io/gmapp-website/. The road towards polaritonic devices, D. Sanvitto, S. Kéna-Cohen. Nature Mat 15, 1061 (2016). Strongly correlated photons on a chip, A. Reinhard, T. Volz et al, Nature Photonics 6, 93 (2012). Ultrafast all-optical switching by single photons, T. Volz, A. Reinhard et al, Nature Photonics 6, 605 (2012). Polariton Boxes in a Tunable Fiber Cavity, B. Besga et al, Phys Rev Appl 3, 014008 (2015). G. Munoz-Matutano et al, Quantum correlated photons from semiconductor cavity polaritons, https://arxiv.org/abs/1712.05551. Polaritons in layered two-dimensional materials, T. Low et al, Nature Mat 16, 182 (2016). 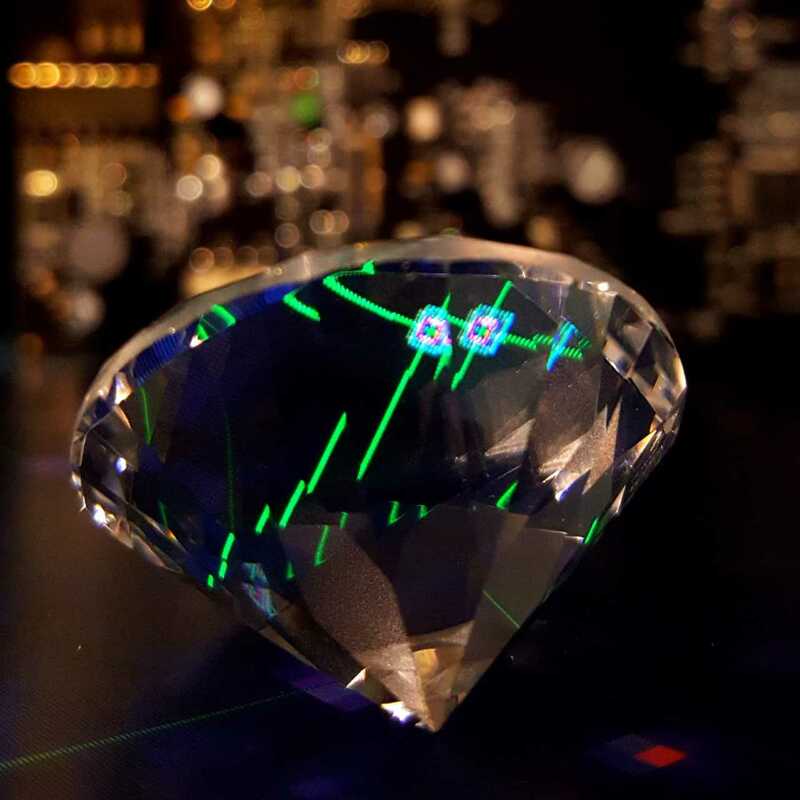 Diamonds have highly unusual and extreme properties that are ideal for creating a new class photonic components with potential applications ranging from biomedicine, defence, environmental sensing and quantum cryptography. We are seeking a PhD student to investigate novel diamond-based devices for quantum random number generation. Through this largely experimental project, the candidate will have the opportunity to develop cutting-edge fabrication techniques, analyse device performance using theoretical models and pursue applications. You will join a productive team of researchers aspiring to break new ground in diamond optics, laser physics, micro-optical systems and nonlinear Raman interactions. Opto-magnonics is a very new field which describes the interaction of light with magnetic materials. Magnons are collevtive spin waves in ferromagnetic materials. Magnons can couple to photons at optical frequencies via two-photon scattering. To enhance the photon-magnon interaction one confines photons and magnons in a cavity. By analogy with cavity optomechanics in which cavity photons interact with mechanical degrees of freedom, this field has been called cavity optomagnonics. This coupling can be very strong and one has the potential to control the collective spin of the magnon via quantum optical pulses. This project will develop the theory describing networks of optomagnonic systems to see if such systems can be entangled, can be used for light storage and to study quantum control of solid state spins. Optomechanics is the science of studying the interation of light forces with the mechanical movement of objects. Research interest in this field has grown enormously over the past five years as researchers can perform a variety of experiments and many of these have applications towards developing new types of sensors. In most of these studies one has a vast difference between the group velocity of light pulses (essentially at c), and the mechanical velocity (few meters per second). However one can use slow light media - e.g. using electromagnetically induced transparency - to slow down the group velocity of a light pulse to just meters per second - and even slower than the motion of the mechanics. This regieme can be interesting in that one might see quantised Cherenkov radiation as the mechanical object moves faster than the light signals propagate. This project will develop the theory and numerics to study real world experimentally feasible examples of such a novel type of system. We expect that as the light has a longer time to interact with the mechanics - the optomechanical coupling will be greatly enhanced in such systems. Most designs for quantum computers require each and every qubit to be addressed , read out and controlled. IBM, Google and D-Wave now have devices with 10-100 quantum systems but to be useful a real world quantum computer must have millions of qubits. If one attempted to control each and every qubit in such a machine the level of classical software and hardware needed for this will be immense and poses a very significant technical challenge to scale up. However - it is known that one can perform quantum computation without any local addressing of qubits and we have studied various schemes for the GLOBAL CONTROL of quantum computation and how to perform quantum error correction in a global fashion. Recently researchers have found ways to perform classical cellular automata on 2D arrays where the error rates can be as high as 1/2! Such error thresholds are far above those for quantum fault tolerant error correction. In this project we will examine these recent classical models for cellular automata to see if one can describe quantum versions of them that possess similarly large fault tolerant thresholds. Quantum coherence is extremely sensitive and thus developing quantum computers requries massive efforts to protect such quantum systems with many different techniques. This same sensitivity can be used to build extremely sensitive sensors. Many types of sensors use interferometry to detect small changes. In atomic interferometry one uses light to split the quantum wavepacket of individual atoms in space, then let them fall, and then use light to recomine them to form an ATOMIC INTERFEROMETER. Such devices can measure the absolute acceleration of gravity by detecting the interference pattern of the atoms after they have recombined. In a recent work we published a scheme that uses magnetic trapping of a large (nanogram), object to perform interferometry but with a macroscopic object. To achieve this we proposed to generate a Schrodinger Cat - a superposition of an object in two places - which is a macroscopic superposition. This project will develop these ideas - to develop feasible schemes to generate large Schordinger Cat states of matter - and how to use these to perform sensitive metrology. The post is a theoretical post but will work with experimentalists in UWA and UQ. Diamond qubits are the only qubits that can operate at room temperature. Researchers have demonstrated quantum gates between a diamond spin and nearby nuclear spins. However it is still highly challenging to create diamond qubits exactly where you want them and then how to deterministically entangle them. If you make them close together so that electron dipole-dipole interactions can be used to make gates then they are too close to individually address optically. If you put them far enough apart to address optically it becomes very challenging to entangle them. Recently we published a mechanical scheme to entangle diamond qubits together irrespective of how far apart they are physically. That work was aimed at spin squeezing. Spin squeezing can be extremely useful for precision sensing. This project will examine how such a scheme can be used to develop this novel mechanical protocol for the development of precision magnetometers and accelerometers and for quantum computation. Dr Mattias Johnsson - Macquarie University. 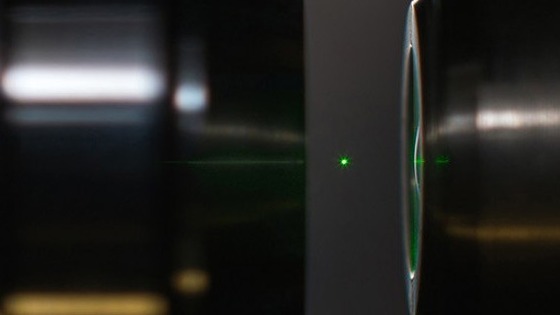 Laser cooling has been used for decades to cool the motion of atoms and ions. More recently one can also use light to cool the motion of larger objects such as tiny nanogram sized mirrors (optomechanics), or little micon sized spheres trapped by standing waves of light inside an optical cavity (cavity optomechanics). This project involves the latter - where one attempts to use light fields to cool the motion of large objects to the quantum regime. Although this has been achieved in some cases it is still a highly challenging area of research. In particular most schemes need the object to be pre-cooled to cryogenic temperatures already before laser cooling can be effective. 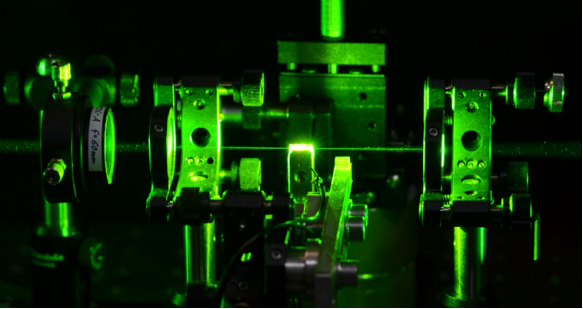 This project will seek novel quantum protocols, using hybrid quantum systems (where one brings together different types of quantum systems), to be able to produce laser motional cooling of objects to their motional ground state - but - starting from room temperatures. If successful then one can begin to explore quantum motional systems in the lab without the complication of using expensive and highly technical cryogenic fridges e.g. dilution fridges. Such a prospect could revolutionize the application and development of commercial quantum technologies. 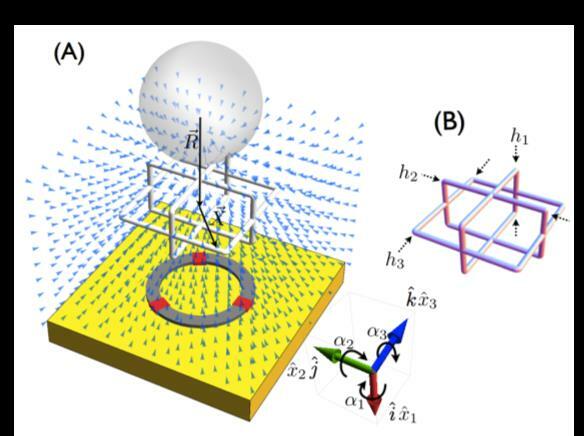 References[Cirio2012] M. Cirio, G. K. Brennen, and J. Twamley, Quantum Magnetomechanics: Ultrahigh-Q-Levitated Mechanical Oscillators, Phys. Rev. Lett. 109, 147206 (2012). Fig: Equilibrium photon number in a nonlinear optomechanical system [Mikkelsen2017]. Optomechanics is the science that examines how optical forces can move mechanical systems. This topic has undergone a huge boost in interest in recent years as many types of experiments have begun explorations in optomechanics. One of the holy grails of such work is to reach the strong coupling regime where the impact of a single photon is enough to cause significant mechanical disturbance. To reach these regime currently one can use extremely light mechanical systems e.g. collections (millions), of cold atoms held in optical lattices, or – curiously – couple multiple mechanical objects to the same light field in a collective manner. To achieve strong optomechanical coupling one typically drives the optical system to have a large power and this effectively linearises the dynamics. In contrast, in the single photon strong coupling limit the dynamics becomes highly nonlinear and many novel features eg. the generation of nonclassical quantum states, becomes possible. In this project we will explore the general topic of nonlinear quantum optomechanics looking, in particular, at the prototypical membrane in the middle model for an optomechanical system. Nonlinear classical systems often display strange phenomena such as hysteresis, switching, locking, phase transitions and chaos. Non-linear systems are often used for designing sensors, memories and self-stabilizing oscillators. We will investigate the semi-classical and quantum formulations of non-linear optomechanics with such applications in mind. Mikkelsen2017] M. Mikkelsen, T. Fogarty, J. Twamley, and Th. Busch, Optomechanics with a position-modulated Kerr-type nonlinear coupling, Phys Rev A 96, 043832 (2017). 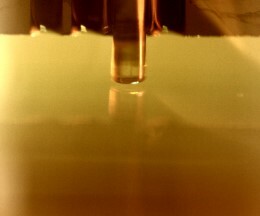 Fig: Experimental image of trapped micron sized particle in high-vacuum trap. The field of optomechanics – where one studies the interaction of light forces with mechanical moving objects has recently enjoyed a huge surge of interest. Much of the reason for this interest comes from the desire to explore new physical systems where novel physical effects appear but also to build exquisitely precise sensors for magnetic/electric etc fields. To reach exciting new regions of physics and possible high precision sensing one seeks to develop mechanical motional oscillators which possess as little damping as possible i.e. with high motional Quality factors. One way to achieve this is via mechanical resonators which have no mechanical contact with their surroundings e.g. are levitated/trapped in space [Li2010]. 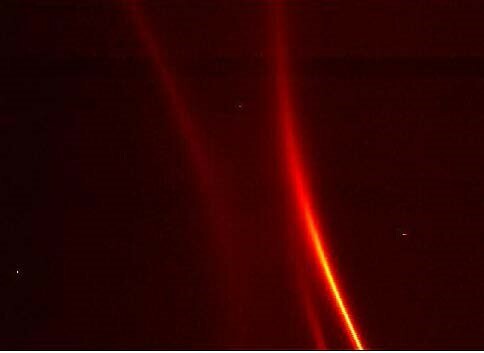 The typical method to achieve this is via optical tweezers but such trapping comes with some difficulties relating to laser noise possibly heating the motion of the mechanical oscillator. In this project we will develop passive trapping of particles in ultra-high-vacuum. These particles will be stably trapped and oscillate in space. The goal of this project will be towards achieving ultra-high motional Quality factors and high motional frequencies for these trapped mechanical oscillators and to determine the feasibility to use such oscillators for sensitive metrology. The project will be primarily experimental in nature but will also require some theory/numerics to develop/fit the theory to the experiment. This project probes an exciting new area of meso/nanoscopic control – mechanical trapped systems. This new field of research has a wealth of novel phenomena to be explored, understood and utilised for a variety of purposes eg. ultra-sensitive sensing. It is expected that there are extensions of this project to multiple PhD projects also with the potential for national/international collaborations. [Li2010] T. Li, S. Kheifets, D. Medellin, and M. G. Raizen. Measurement of the instantaneous velocity of a brownian particle. Science 328, 1673 (2010). There are several models for quantum computation which are equivalent in ability to simulate each other but which differ in how they operate. For example, in the measurement based model one begins with a special resource state (a 2D lattice of entangled spins with one spatial axis representing position on the computational register, the other time) and then performs adaptive single spin measurements on the remaining correlated spins to process a quantum computation. This project will investigating how to prepare and process good resource states which are stable ground states of naturally occuring systems--i.e. computational phases of matter [1,2]. The scope of the research covers: encoding information in edge degrees of freedom  of two dimensional symmetry protected topological order, applying renormalization techniques to identify stable computational phases of matter , and analysis of how to use many body states are resources for precision measurement . G. K. Brennen and A. Miyake. Measurement-based quantum computer in the gapped ground state of a two-body hamiltonian. Phys. Rev. Lett., 101(1):010502 (2008). A.S. Darmawan, G.K. Brennen, and S.D. Bartlett, Measurement-based quantum comptuation in a two dimensional phase of matter, New J. Phys. 14, 013023 (2012). J.M. Renes, A. Miyake, G.K. Brennen, S.D. Bartlett, Holonomic quantum computing in ground states of spin chains with symmetry-protected topological order, New Journal of Physics 15, 025020 (2013). S.D. Bartlett, G.K. Brennen, A. Miyake, and J. Renes, Quantum Computational Renormalization in the Haldane Phase, Phys. Rev. Lett. 105, 110502 (2010). S. Bartlett, G.K. Brennen, and A. Miyake, "Robust symmetry-protected metrology with the Haldane phase,' arXiv:1608.08221. We traditionally classify order in many body systems through the lens of Landau theory where the symmetry at the microscopic level is broken to a lower symmetry in the ground states, e.g. ordering of spins along one direction in the Ising model. In topological systems the opposite occurs, the ground states have emergent symmetries not present in the microscopic equations of motion. Such emergent properties include (1) non-locally degrees of freedom that can be used to store quantum information in a protected way and (2) anyons which are particles in 2D which have richer behavior under exchange than Bosons or Fermions. One project will investigate how to engineer spin lattices using trapped atom/molecules/ or photonic networks which have topological order and emergent anyons [1,4]. Further we investigate how to make braiding operations for anyons fault tolerant in physical realisations and possible novel applications such as computing the statistics of braided systems . Another project will study the statistical mechanics of these anyons via discrete time dynamics described by quantum walks and in continuous time via anyonic Hubbard models. Numerical studies will include using and extended already developed code for anyonic matrix product states (MPS) . G. K. Brennen, M. Aguado, and J. I. Cirac. Simulations of quantum double models. New J. Phys., 11:053009 (2009). L. Lehman, V. Zatloukan, G.K. Brennen, J.K. Pachos, and Z. Wang, Quantum Walks with Non-Abelian Anyons, Phys. Rev. Lett. 106, 230404 (2011). V. Zatloukan, L. Lehman, J.K. Pachos, and G.K. Brennen Transport properties of anyons in random topological environments, Physical Review B 90, 134201 (2014). T. Demarie, T. Linjordet, N. Menicucci, and G.K. Brennen, Detecting Topological Entanglement Entropy in a Lattice of Quantum Harmonic Oscillators, New Journal of Physics 16, 085011 (2014). S. Singh, R. Pfeifer, G. Vidal, and G.K. Brennen, Matrix Product States and Efficient Simulation of Anyons, Physical Review B 89, 075112 (2014); B.M. Ayeni, S. Singh, R.N.C. Pfeifer, G.K. Brennen, Simulation of braiding anyons using Matrix Product States, Phys. Rev. B 93, 165128 (2016). One of the great promises of quantum science is to simulate complex physical systems that are difficult to compute on classical machines. However, individual quantum systems are very fragile and to be useful in quantum devices for simulation, they must be accurately controlled. In the standard approach one must develop technology capable of controlling each and every individual quantum system within the device. The challenge of scaling up these control solutions to quantum devices containing hundred and perhaps millions of quantum systems seems incredibly daunting. We have shown how to run a quantum computer fault-tolerantly using semi-global operations and with very noisy measurements . Here semi-global means the number of control modes (fields) is only very weakly dependent on the number of information carriers (specifically it scales logarithmically with the number of logical qubits) . One project will study how apply these ideas to specific quantum simulation algorithms, particularly constant depth circuits and to compute a threshold on the individual gate errors. Another project will focus on how to use low depth quantum circuits to compute partition functions  for Lagrangians particularly in the context of continuous variable encodings using photonic networks. A third project will investigate analogue  and digital simulations of quantum field theories . G.A. Paz-Silva, G.K. Brennen, and J. Twamley, Fault Tolerance with Noisy and Slow Measurements and Preparation, Phys. Rev. Lett. 105, 100501 (2010). G.A. 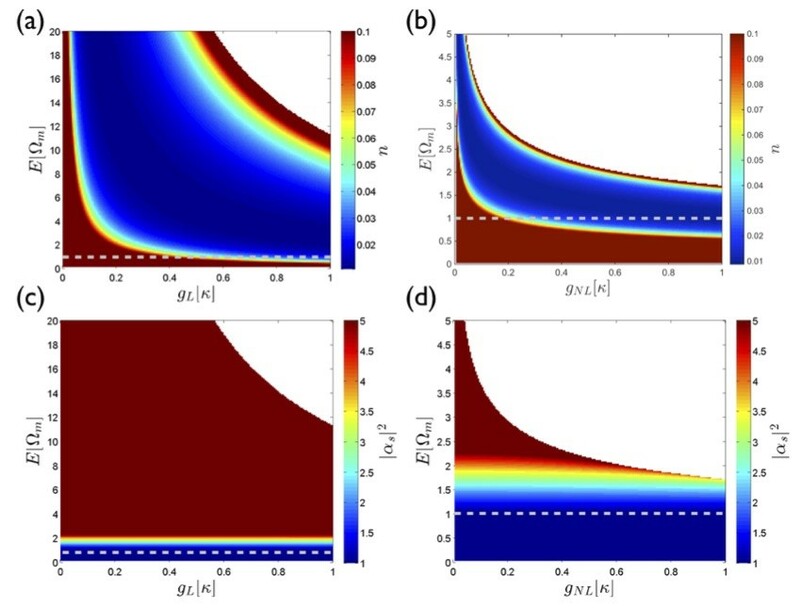 Paz-Silva, G.K. Brennen, and J. Twamley, Bulk Fault Tolerant Quantum Information Processing with Boundary Addressability, New J. Phys. 13, 013011 (2011). S. Iblisdir, M. Cirio, O. Boada, and G.K. Brennen, Low Depth Quantum Circuits for Ising Models, Annals of Physics 340, 205 (2014). G.K. Brennen, G. Pupillo, E. Rico, T.M. Stace, and D. Vodola, "Loops and strings in a superconducting lattice gauge simulator," arXiv:1512.06565. G.K. Brennen, P. Rohde, B. Sanders, and S. Singh, Multi-scale quantum simulation of quantum field theory using wavelets, Phys. Rev. A 92, 0323145 (2015); "Holographic construction of quantum field theory using wavlets," arXiv:1606.05068. 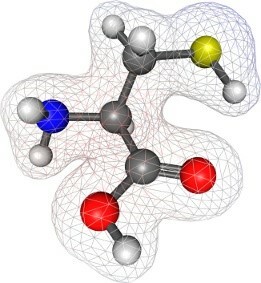 There are an enormous variety of technological challenges, such as renewable energy and pharmaceutical design, that could be solved if one could rapidly simulate molecules. The problem is that quantum systems are fundamentally difficult to simulate on normal “classical” computers. This led Feynman to propose the idea of quantum computers . Later Lloyd gave a general quantum simulation algorithm , but it was Aspuru-Guzik and co-workers who showed how to simulate quantum chemistry on a quantum computer . Unfortunately, this algorithm was relatively slow . The goal of this PhD project is to develop techniques for quantum computers to simulate quantum chemistry that are much faster, and could enable quantum computers to simulate much larger molecules. The basic techniques to achieve this have been presented in papers by Berry and Babbush [5,6,7], and are based upon the ability to exponentially accelerate a numerical integral. This project will further develop these techniques and devise explicit gate sequences, with the possibility to run the algorithms on Google's new 72-qubit quantum computer. R. Feynman, International Journal of Theoretical Physics 21, 467 (1982). S. Lloyd, Science 273, 1073 (1996). A. Aspuru-Guzik, A. D. Dutoi, P. J. Love, and M. Head-Gordon, Science 309, 1704 (2005). D. Wecker, B. Bauer, B. K. Clark, M. B. Hastings, and M. Troyer, Phys. Rev. A 90, 022305 (2014). R. Babbush, D. W. Berry, I. D. Kivlichan, A. Y. Wei, P. J. Love, and A. Aspuru-Guzik, New Journal of Physics 18, 033032 (2016). R. Babbush, D. W. Berry, Y. R. Sanders, I. D. Kivlichan, A. Scherer, A. Y. Wei, P. J. Love, and A. Aspuru-Guzik, Quantum Science and Technology 3, 015006 (2018). D. W. Berry, M. Kieferová, A. Scherer, Y. R. Sanders, G. H. Low, N. Wiebe, C. Gidney, and R. Babbush, arXiv: 1711.10460 (2017).